Farrow & Ball have been making beautiful paints since 1946. Although remaining loyal to their traditional recipe, Farrow & Ball paints are developed and innovated by a team of experts to ensure they are of the highest quality. Q: When did you join F&B? 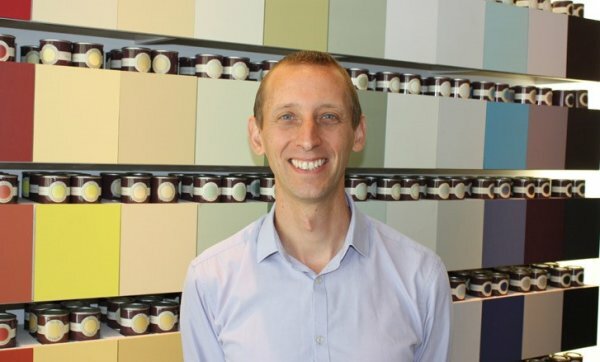 GH: I joined Farrow & Ball in 1999 as a lab technician and have progressed to Head of Research and Technical Development. My team of 18 is responsible for all activities related to product. Fundamentally, we ensure that our paint and wallpaper is second to none. To achieve this we pioneer robust quality procedures, work closely with manufacturing to ensure our paint and paper is made as efficiently as possible, source only the finest quality materials, develop existing products and innovate new ones whilst all the time ensuring that our paint and wallpaper meets worldwide legislation requirements. Our mantra is ‘Quality First’. GH: A typical day is quite diverse, which is why I enjoy my role so much! I can be meeting with existing suppliers, discussing their supply performance and collaborative projects, reviewing product development milestones with the team or looking at a detailed piece of proposed technical legislation. I also enjoy attending our Wimborne based Decorator Days where I have the opportunity to talk to professional decorators about our paint and wallpaper properties. GH: Seeing the pleasure that people get from Farrow & Ball — it’s great to know that the effort put in to achieving the highest quality product means so much to our customers. 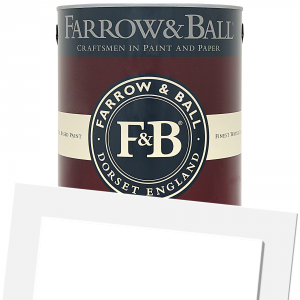 View all Farrow & Ball paints today!